A few clicks here and there on its website and another few minutes into the presentation, that’s what it took for us to identify that the Swiss Binary Robot is a scam. Looking at the sheer unprofessional way with which the website has been made or the typos in the content of the presentation, it’s very easy to dismiss the sales campaign as a scam. There are so many other red flags which we came across in our investigation, and we are here to share all that with you through this review. Once you get all the information there is to share, please don’t restrict it to yourself but share it as much as possible to warn and save others from falling for it. Purportedly named to give a false impression as if it has something to do with the Swiss banks, the Swiss Binary Robot is a cheap scam. Switzerland has nothing to do with it except for its mention here and there in the presentation. The software allegedly trades in only Swiss Francs (CHF). It operates on three currency pairs GBP/CHF, EUR/CHF, USD/CHF. This scam has been circulating for a long time now. We had last noticed it in 2014. Relying on the short-term memories of people, the scammers have once again reared their ugly faces. This is the same trading platform which the more recent scams like the Hexa Trader and the CogniTrade use. With a couple of changes in the color schemes or logos, the scammers keep on dishing the same software with different names. The scheme of things is such that you are invited to join an inner circle of traders, investors, and entrepreneurs. Together they form an elite club which goes by the name “Inside Millionaire’s Club.” The name sounds strange, right? The profit earned by one of the early members of the club is reported to be $159,430 in six months in 2014. This figure of $159,430 is what sets the tone of the entire presentation. We are introduced to the software by one of its creators, Andre Burgin. Andre was an executive with one of the largest brokerage firms in Switzerland. The members of the club earn close to $32,435 per week we are told. By calculation, shouldn’t the member who made $159,430 in six months have earned a lot more if anyone can earn $32,435 per week? Andre offers that currently there is a scope for letting in 200 new members to the club, of which he is the chairman of the board of governors. 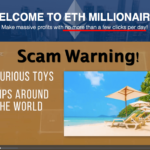 Andre entices the viewers to join the club by asserting that he made over $7,79,488 since the time he started trading with the software in part-time. His partner in the software creation, Alexander has reportedly made over $1.12 million. The software would automatically hunt down the best trades on the exchange thanks to the timing indicators. 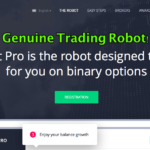 This trading robot has reportedly been pulling in double-digit returns faster and easier. The robot reportedly takes “advantage” of an unknown advantage that auto searches for the most profitable trades on the market making profits with reliability, accuracy, and predictability. There have been mentions of speed and timing but the underlying algorithm has never been discussed. There is mention of a SWATT technology which is short for Swiss Automated Trading Technology. This is the alleged timing technology that some “gifted” boy developed for Andre and Alexander. Thanks to this technology, the Call and Put decisions are now driven by scientific calculations and statistics rather than emotions, we are told. We did not find any reference to the SWATT technology on Google which could be related to Andre or Alexander in any manner. 200 Free Licenses up for Grabs! The only reason why around 200 new members are being included in the club is to solicit their success stories once they turn around their fortunes through the Swiss Binary Robot. The new members would have to submit screenshots of their account balances. We are informed that it is a 30 day free trial period. Now that we know that the Swiss Binary Robot is a scam, we can safely say that the scammers want to fool you into believing their trash talks. You are told that once the software is commercialized, its licenses would be sold for no less than $4,997. We have a solid reason which would further consolidate our verdict. Did you find any mention of the word “broker” in the entire website or presentation? A broker, who is an integral part of binary options trading, how can anyone do without them? It’s uncertain as to what is the credibility of the brokers this system is tied with. Whether the broker is regulated or unregulated, we don’t know. Moreover, how can a risky business of binary options trading ever be risk-proof? One has to play God if it were so. A system which is entirely based on probability and luck, how can someone take out the risk factor from it? In Binary Options Trading, often it’s the riskiest of trades which have the best payouts. No ‘inside tool’ can ever be trusted if it claims to make such bizarre differences. There are no testimonials to view on the website either. Anyways, it does not make a huge difference since had there been a few reviews; they too would have been fake ones we are sure. Why has no ‘Inside Millionaire’s Club’ member been included in the testimonials if the software is so great and successful? 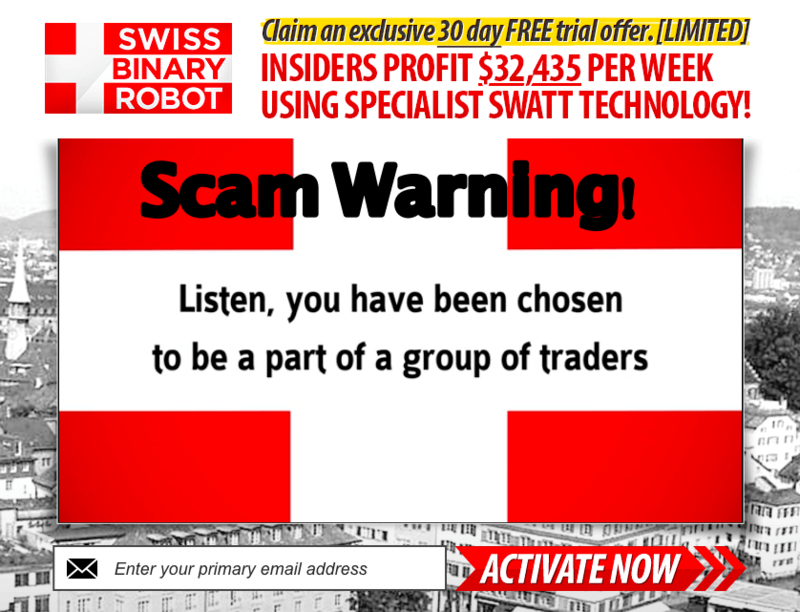 Verdict – Swiss Binary Robot seems to be a SCAM! Avoid It! 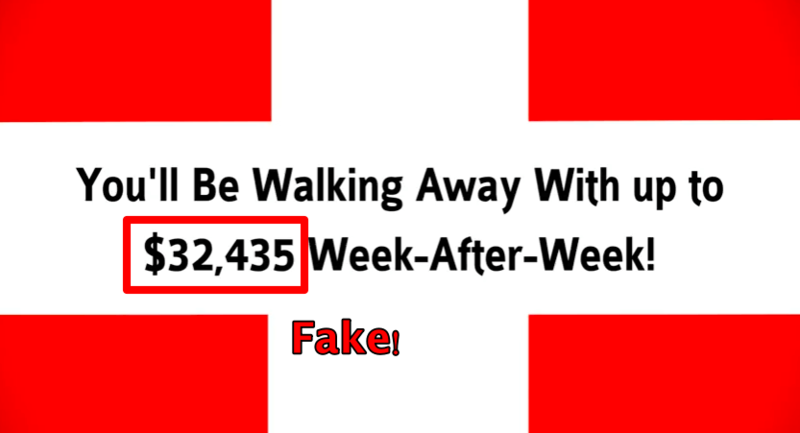 The Swiss Binary Robot is a poorly executed scam which would fail to impress even the most gullible of people. There is nothing in it which could be trusted. The factors which contribute towards reliability are missing from the presentation and the website. It is always better to have less money than also to lose whatever little you have out of temptations. Do share what you’ve learned from our review with all those you feel could be victimized. 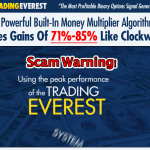 Trading Everest Review – Another Cheap Scam Exposed! My name is RR and i live in Sweden. I have trade on yes option.com in 1 month. I have deposit 10000 us after a lot of call from them to put moore and moore money in deposit. And every time it was very hurry to make the business she (Sandra Wilson) told me. And a lot of talk about Trump, Mercedes, The brittish prime minister etc. She helped me every day and i won and loss. And the 25/1 she cheat me to trade 11 times and 2500 us every time. I asked if it was good to do so…but she sad that ” trust me”. I did… and loss every us. The last trade was in the afternoon so i have to wait for itas she said….Loss that too. Then one day for 1 1/2 week ago it disappear 1600 us from my account. I called my bank and blocked my master card. When i called them for an answer, she (Sandra) just talk around it and said that she will pay it back if i sign another document. I did that and wrote on the doc that the sign was only for paying back that money. Next day she (Sandra Wilson) told me hat my master card was blocked,!!!! how could she know that ??? so i have to put in 3000 us so the insurance will be activated. My money should be back in 3 hours, and i should get the bonus too. totally 25 000 us to my account.She send me an email about that she say, but no email was coming. I didn’t deposit 3000 more. I wrote to yes option and refuse to do it. When i looked at my account on yes option on saturday 11/2, it was only 61 us. A couple of days before it was 6 461 us on the account. Today the 14/2 yes option called me again and say that i didn’t understand what she say the last time. So if i deposit…3500 us….immediatly, the insurance will be activated, and i will have my money back in 1 hour. I told her that i have to speak whit my lawyer and ask him if he thinks its ok. She answer me that “if so i will end your account” on yes option, And klick the phone in my ear. I have it all on tape. What do you think about this story…i don’t wanna put in moore money. I hope that you can understand what i am writing.